Concentrations of toxic contaminants in the air where you live and work in the UK can now be checked, thanks to a new tool. Postcodes have been ranked based on nitrogen dioxide levels recorded by a firm that measures and models air pollution. 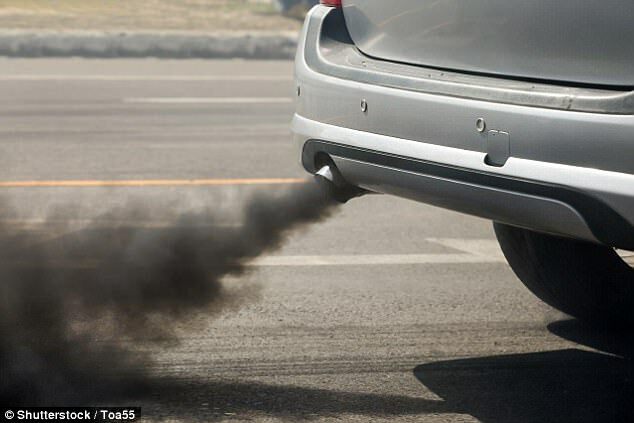 Diesel vehicles are a major source of the gas, which has been linked to respiratory disease. The app reveals that Hyde Park Corner and Marylebone Road in London have the most polluted postcodes, while areas near east London’s Blackwall Tunnel were also ranked highly for nitrogen dioxide. The interactive app is the work of Leicester-based company EarthSense and the BBC. 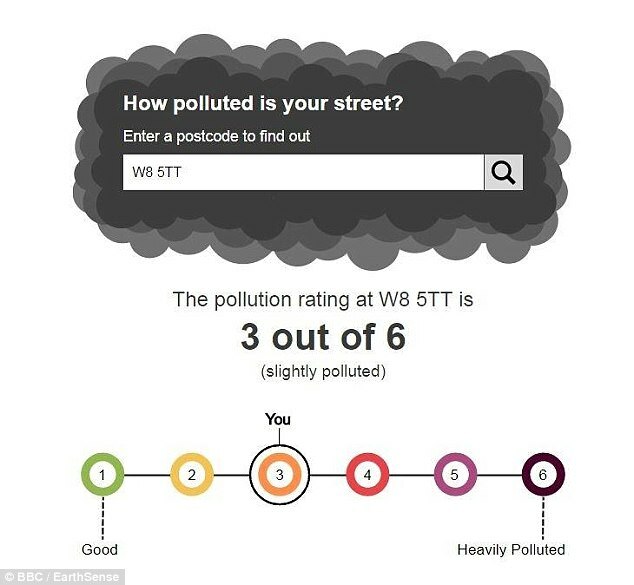 It lets you type in your postcode and receive a rating from one to six, with one being the least polluted. This reflects the likelihood that area will break the annual legal limit for nitrogen dioxide (NO2), an average of more than than 40 micrograms of NO2 per cubic metre. It is based on a dataset of air quality at a resolution of 100 by 100 metres (330 by 330 feet). 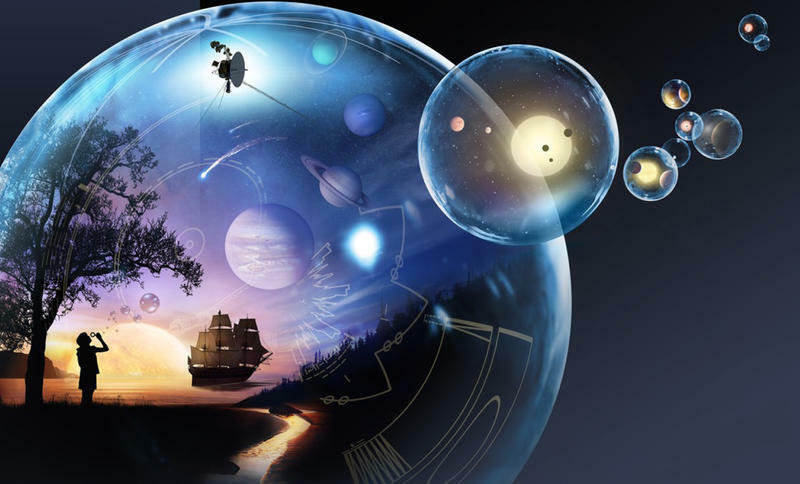 This is based on a variety of data sources including road traffic data, satellite information and street map data. EarthSense says it is the most detailed model yet for assessing air quality in Britain. The company's technical director, Professor Roland Leigh, told the BBC: 'By focusing it down we can really isolate the hotspots of poor air quality, and better target our solutions. 'Air quality is actually getting better in Britain, and we are in a better state than a large number of countries - particularly across Asia. Pollution is thought to lead to the early deaths of 40,000 people a year in Britain. 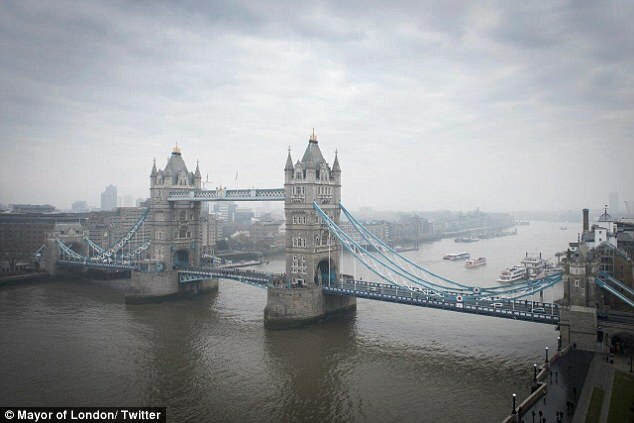 Three quarters of the UK’s worst pollution areas are in London. Fewer than one per cent of postcodes are rated either four or five, and no postcodes fall into the highest category. 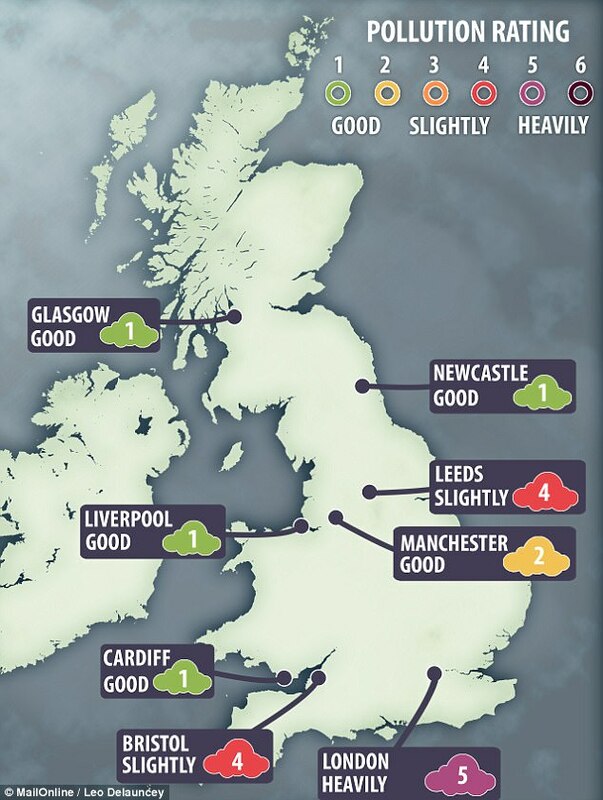 Leeds and Bristol city centres also scored relatively high ratings of four out of six. High Street Kensington, where MailOnline is based, received a rating of three, which means it is likely that nitrogen dioxide levels will exceed the annual legal limit. More than four in five postcodes in the UK are in the least polluted category. That includes many urban areas, including the city centres of Cardiff, Glasgow, Liverpool and Newcastle. In July, 2017, the government announced that new petrol and diesel cars will be banned from 2040 to improve air quality. The strategy was forced on the government by defeat in a High Court case on air pollution.